Thanks to fears over the escalating trade war, these two fast growing dividend aristocrats are 28+% undervalued. 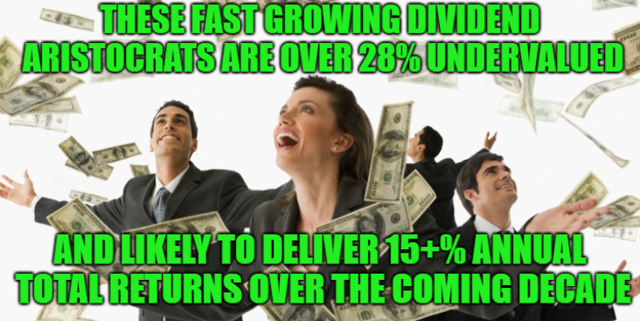 That means they should deliver not just safe and fast rising dividends in the coming years, but also between 15% and 19% annualized total returns. Youre so cool! I dont suppose Ive learn something like this before. So nice to search out someone with some unique thoughts on this subject. realy thank you for starting this up. this web site is something that’s needed on the net, someone with a little bit originality. helpful job for bringing one thing new to the web!